A favourite of the Mediterranean, olives make an exquisite accompaniment to alcoholic drinks, dairy foods, breads and relishes. 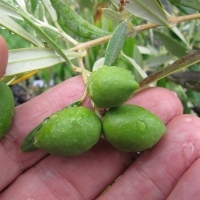 The following multipurpose olives are well suited for the home grower. 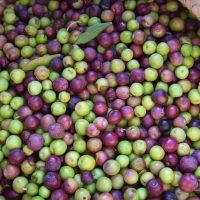 One of the most highly acclaimed olives for the production of quality oil, producing a fruity and aromatic oil. Fruit are small - medium. A mid to late season cropper consistently producing heavy yields. Dual purpose olive, good table or oil purposes. Pickled fruit have a nutty flavour, pickle green/ black. Pollinates Kalamata. Small/medium fruit (2-3g). Early start to bearing. High yields. Ripens early/mid season. Medium oil content. Low chill requirement. Pickled green/black. Warm/cold climates. Showing promise in warm winter climates. 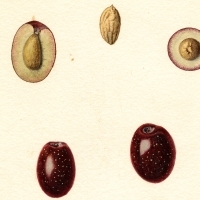 Their fruit is juicy and sweet and have a unique torpedo shape and split in the skin. 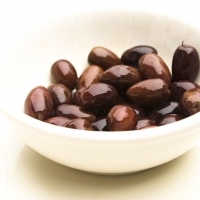 The most popular olive in Australia, they are ideal for use in cooking or as an olive to eat alone. Trees are grafted as they are difficult to propagate by cuttings. Pickled black. Suggested cross-pollinators are Frantoio and Koroneiki. Table variety, medium to large fruit. Very quick to come into bearing and proving well suited to no frost regions. Most highly rated variety in Chile. Pickled green or black. A very high quality oil variety, exceptionally heavy cropper coming into production very early. Fruit size is quite small. Proving well suited to warm, non-frost regions. Self fertile. Low chill. Origin: Spain. Small fruit, table olive pickled green. Early harvest. Commercial oil producer.Frost, coastal conditions and salinity tolerant. Cold hardy. Grows well from Cairns to Tasmania. Medium vigor and compact shape makes it ideal for backyards. Performs well in warm climates. Suited to pots and hedges. Very large table fruit (12g) with a small seed. 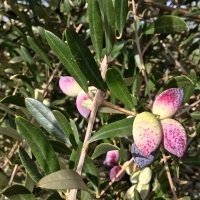 These olive do need to be pickled with care and correctly in order for them to be delicious as they can be tough and fibrous if prepared incorrectly. They are pickled when green. 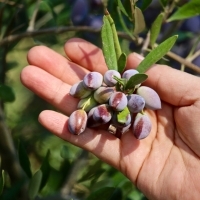 The jumbo kalamata is not related to the Kalamata olive. Selected by the University of California for it large fruit, small stone and ability to produce heavy crops in hot climates. A spreading tree and good consistent cropper. Pickled green or black. 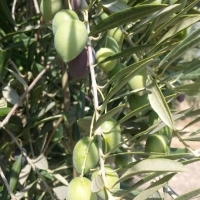 An Israeli cultivar, proven to be the best variety for producing commercial yields in a very short time with excellent quality oil. A delicate oil with a distinct green fruity aroma. Dual purpose, also excellent table variety. Likes hot, dry regions. Suggested cross-pollinators are Picual, Manzanillo. 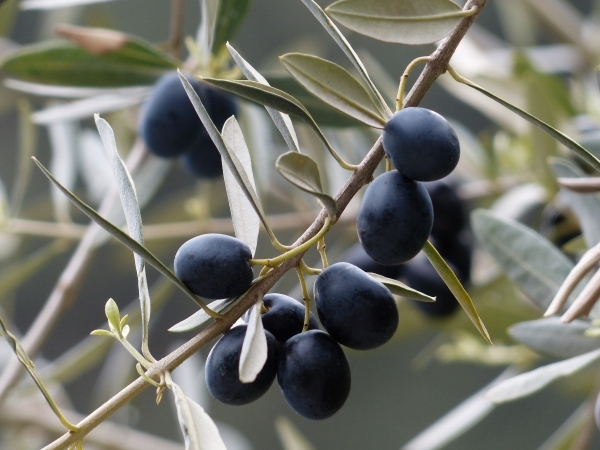 Weed Warning: Olives are a burgeoning industry in Northern NSW and a stable industry in other parts of Australia. 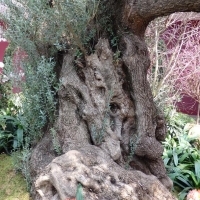 The tree is commonly used as both an ornamental and a useful fruiting tree in the home garden. It also has increasing popularity as a commercial crop throughout the drier regions of SA, NSW and SE QLD. While it will not tolerate wet feet, it will grow well in most other situations including full sun and part shade. 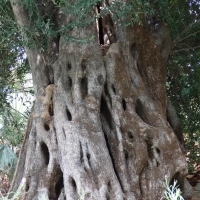 The tree is causing concern as an environmental weed in the dry regions of South Australia and New South Wales.